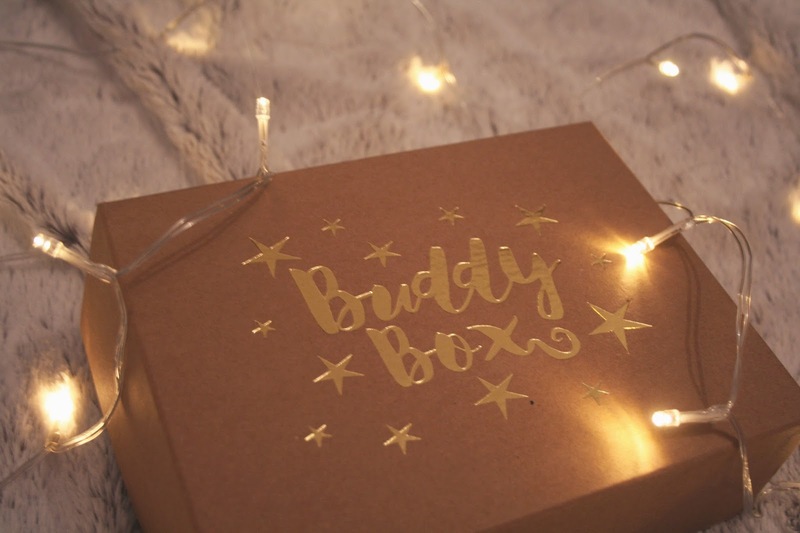 You may or may not have heard of the Buddy Box, provided by the Blurt Foundation, but it is definitely a cause close to my heart. Blurt are an organisation dedicated to helping those who suffer from depression, something that I've struggled with for many years and am still finding ways to cope with. I've never had a subscription box before but after toying with the idea for a while, I thought I would try this one out. It's a lovely, thoughtful box of mood-lifting treats that arrive at your door every month. What could be nicer? The sweet thing about this is it's great to treat yourself with, or even send to somebody you love who might be having a hard time. I think it's important to let someone know you care for them and understand what they're going through, or even just that you care enough to try and understand. Depression and mental health are still ridiculously taboo subjects in 2015 so this little project made me happy to think that maybe people are looking at these issues a bit more sensitively rather than just giving it the old "cheer up and things will be better" line. So I was very excited when my very first Buddy Box arrived the other day! The packaging is simple but sweet, with a gold logo branded on the box. The box is nice to just keep all the stuff together and organised, too. With it being December I assume the underlying theme of this box was Christmas! But this doesn't take away from the thought that went into the products that are tucked inside. 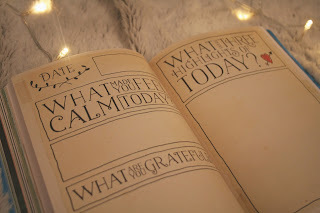 There are a few cards explaining about Blurt themselves, including a lovely postcard for you to write a kind message on and then the instructions are to "lose" the postcard somewhere, like in a library book or a cafe or on a bus, so a complete stranger could find it and have it brighten their day. 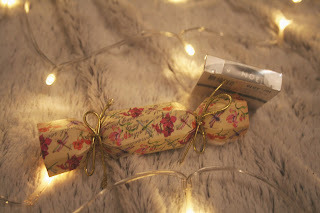 I thought that was a lovely idea! So on to the content: the first thing I pulled out was this gorgeous book titled "Calm". 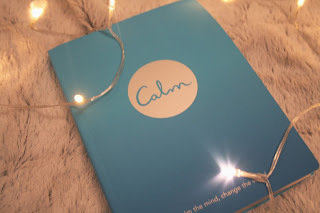 I haven't read it properly yet, but from flicking through I can see it is filled with different activities, quotes and general wisdom aimed at calming you down and making you appreciate the little things in your life. I absolutely adore those crafty types of books (like "Wreck this Journal" and the like) so I think I'm going to really enjoy making my way through this book. I think it's beautiful! Something that definitely came as a blessing was this cool eye mask titled "puffy the eye bag slayer" (if there's some kind of pun being made I am already SOLD.) 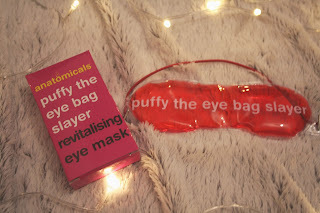 I've not been sleeping well at all the last few weeks and my eye bags are verging on designer, so I can't wait to stick this bad boy in the fridge and soothe my poor puffy eyes. 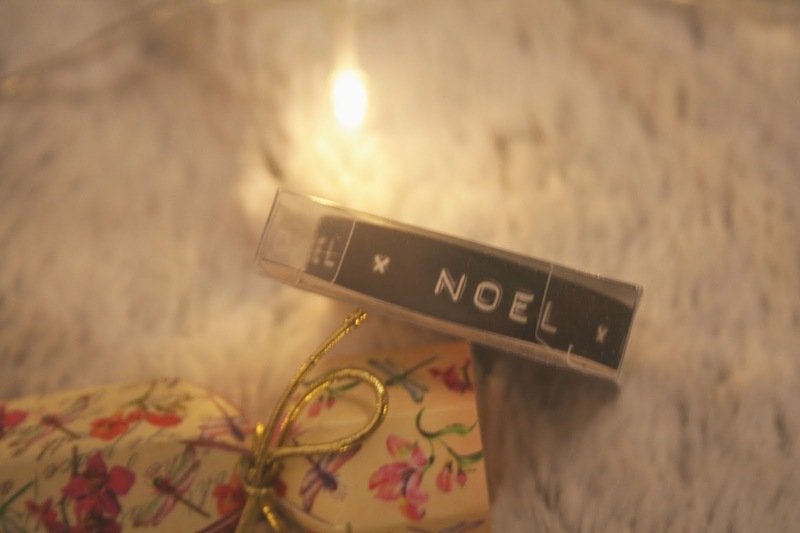 These last two items fit more with the festive theme - a little roll of tape (I love stationery based things) with "noel" printed on it which will be really cute for wrapping my Christmas gifts! 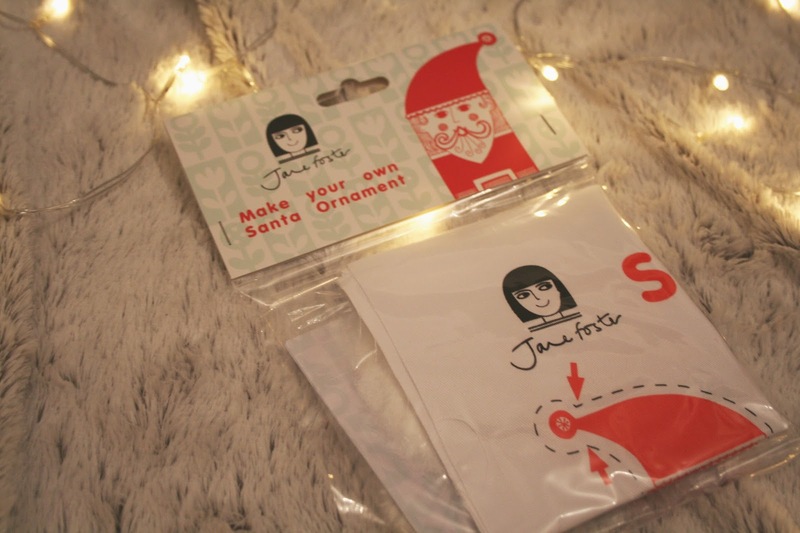 And also a nice little crafty activity - a make your own Santa ornament. This looks really cute and I love anything I can sew and create, even if I'm not very good at it! Can't wait for my day off to sit down, put on a Christmas film, do some wrapping and make my cute little Santa friend. All in all I'm pleasantly impressed with this little box and I am really looking forward to future boxes. You can really feel the thought that's gone in to picking the products that go into these boxes, and each one made me smile as I pulled it out of the box. January is my birthday month so I'm doubly excited to see what shows up at my door! Please do take a look as I think they are doing a fabulous, lovely thing! Do you have any subscription box recommendations?